If you’re still just using your ottoman, bench seat or blanket box as a footrest or for the end of your bed, you’re missing out on some practical and stylish interior decorating ideas in your home. Our expert decorators have compiled some of the best and most beautiful decorating tips using benches, ottomans, and blanket boxes to inspire you. Place a sleek upholstered bench or ottoman in your walk-in closet to lay out your clothes or to sit on while you are trying on your shoes. What can you do for walk-in closets where space is an issue? A natural linen blanket box will serve as seating, extra storage, and a beautiful furniture piece. Opt for white or light colours for a classic look and understated luxury feel. If you already have side tables flanking your couch, then you can go for a statement furniture piece as your coffee table. 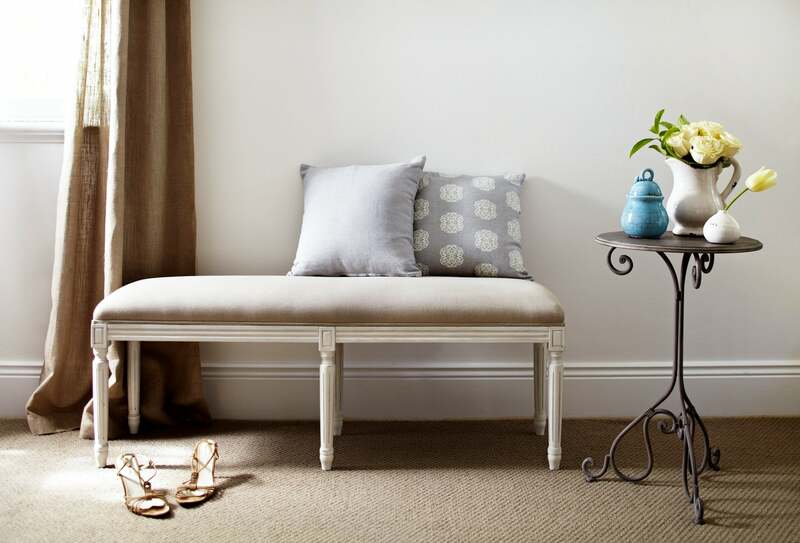 Use a linen ottoman for a luxe look or go for a tufted blanket box to sneak in some storage. 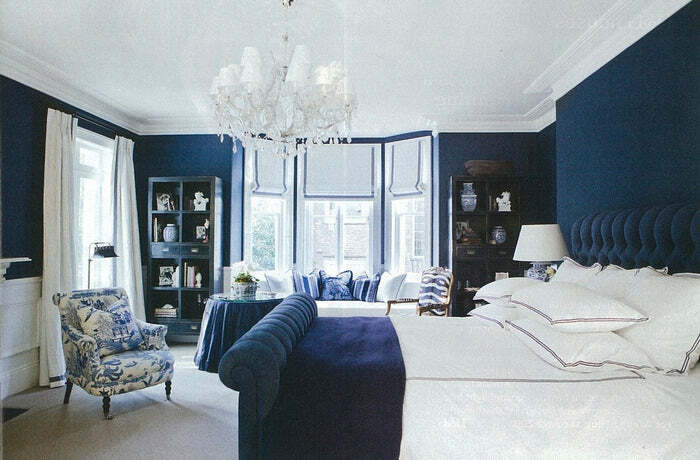 Don’t forget to accentuate with a luxurious wool and angora throw! Sometimes, you just need something to sit on in your entrance, under a window in your living room or in a hallway. Use a plush bed ottoman – as an instant decorating makeover and something functional to sit on as you’re getting ready to go outside or for when you’re removing your shoes! Still need some decorating help? 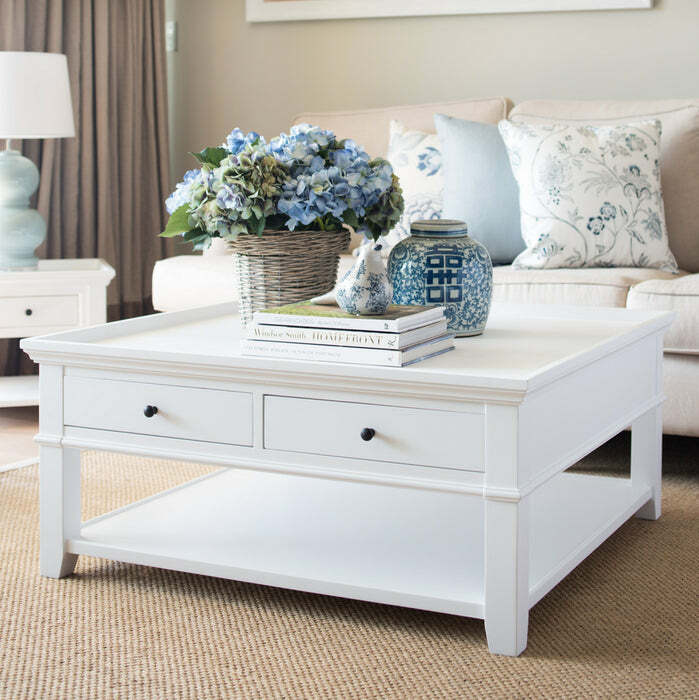 Contact us at Lavender Hills Interiors or drop by our Sydney showroom to see our gorgeous range of French Provincial and Hamptons style furniture.